During the development of our products, we are faced with the need to create something unique, new and easy to use. 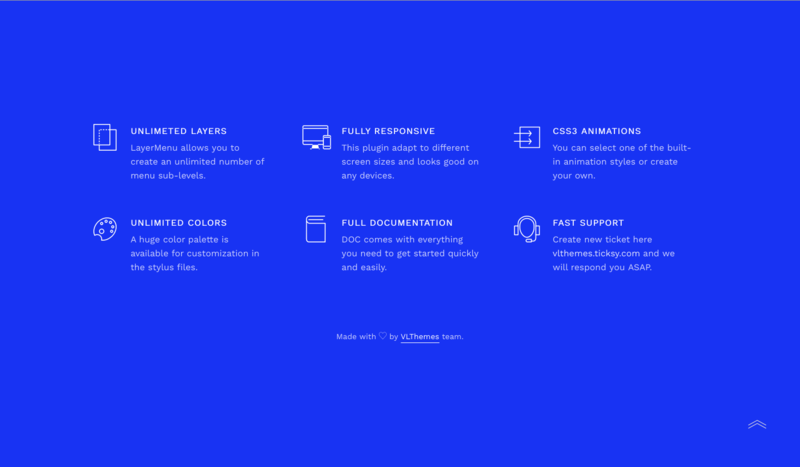 This time we decided to rethink the good old navigation menus. This plugin will help web developers to surprise they clients with new user expirience from use of the product. 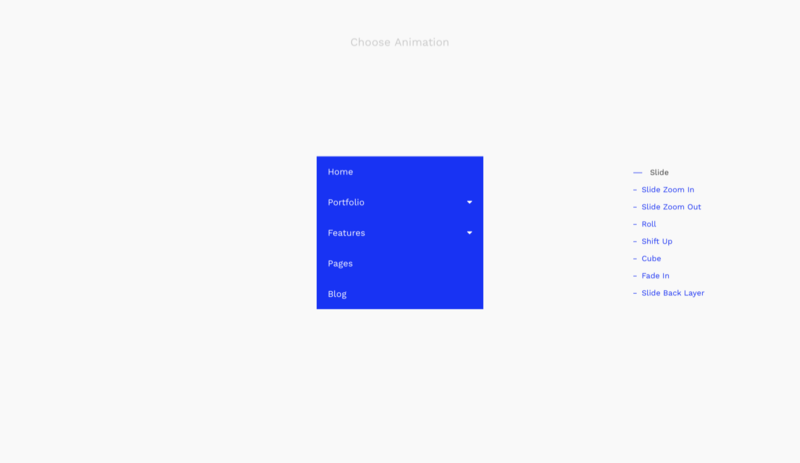 Also, our menu can save such a valuable, in our time, space, introducing a new navigation type. We hope you and your customers will like our solution. Good luck! 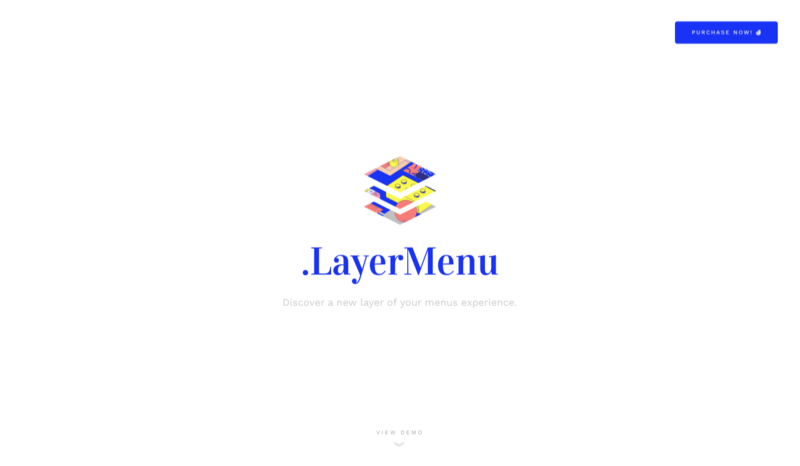 Also layerMenu provides easily creating your custom animation.